Hull City win 3-1 on penalties. Highlights from Liverpool v Leeds in the EFL Cup quarter-final. Ben Woodburn became the youngest scorer in Liverpool's history as the Reds beat Leeds 2-0 to advance to the EFL Cup semi-finals on Tuesday night. Divock Origi opened the scoring on 76 minutes at Anfield before substitute Woodburn enjoyed a League Cup debut to remember, lashing home his first senior goal nine minutes from time. At 17 years and 45 days, Woodburn's strike breaks Liverpool's club record, previously held by Michael Owen, by 98 days. 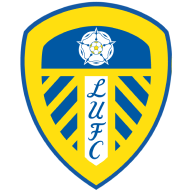 Leeds had chances before falling behind as Hadi Sacko went close and Kemar Roofe struck the post, but the Sky Bet Championship side failed to take their opportunities. 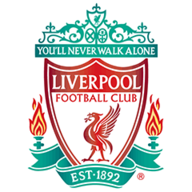 The victory sends Liverpool into the League Cup last four for the third year in a row, with the first leg set for January 10 or January 11 and the return leg on either January 24 or January 25. The Reds will find out who they face when the draw is made after Wednesday's games. Jurgen Klopp, who was without Adam Lallana, Daniel Sturridge and Roberto Firmino, made eight changes and confirmed before kick-off Philippe Coutinho faces five weeks out with ankle ligament damage. Liverpool manager Jurgen Klopp praised Ben Woodburn after the player became the club's youngest ever goalscorer. Meanwhile, Leeds boss Garry Monk made four changes from the team that beat Rotherham last weekend, and his side created the first chance when Sacko was denied by Simon Mignolet after just three minutes. The near-miss sparked the hosts into life and Georginio Wijnaldum forced Marco Silvestri into a smart save with a first-time effort. Emre Can then poked narrowly wide having capitalised on hesitant Leeds defending, but Klopp's side lacked fluency in a sluggish first-half. The visitors, who had lost Eunan O'Kane to injury shortly before the break, continued to threaten in the second half as Roofe struck the post with a fine curling effort. Kyle Bartley flashed a header wide before Roofe drew a low stop from Mignolet, but Leeds could not put their chances away and it cost them as Liverpool's youngsters took centre stage. Origi edged the hosts ahead, latching onto 18-year-old Trent Alexander-Arnold's teasing cross to turn past Silvestri. Lucas and Divock Origi react to Liverpool's 2-0 win over Leeds in the EFL Cup quarter-final. Wijnaldum, who had struck the woodwork moments before Origi's opener, then teed up Woodburn for his dream moment in front of the Kop. The forward kept his composure to smash home from close range, giving Liverpool precious breathing space. Leeds thought they had pulled one back late on but substitute Chris Wood was offside from Souleymane Doukara's knock-down. Liverpool will now appear in their 17th League Cup semi-final - more than any other side - but will turn their attention next to a trip to Bournemouth in the Premier League on Super Sunday.